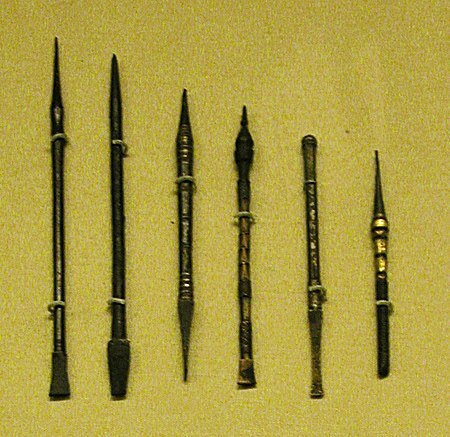 An iron based Stylus (ancient version of the pen), with beautiful silver inlayed sections and designs. 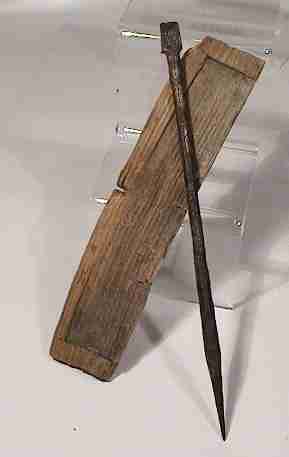 A fairly well preserved example of a Roman writing instrument used write on a wax tablet. The rectangular area near the end has been bordered in strips of silver on all four sides. A bronze or gold center is surrounded by a silver crescent. Despite the iron base material the item has been remarkably preserved, although only part of the flattened "eraser" end remains. 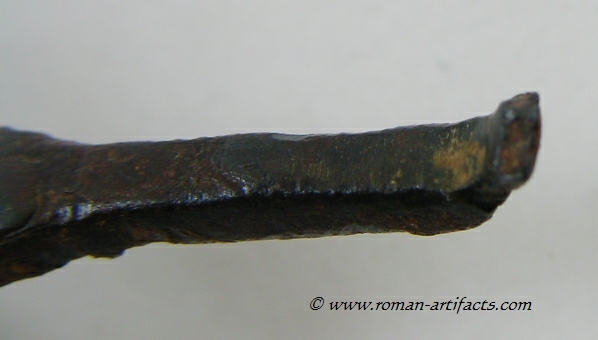 Most examples were fairly plain and were simply a piece of bronze or iron, with a sharpened point and a flattened end (used to erase and smooth the wax for re-writing). This example clearly belonged to someone of higher status and wealth, to be able to afford such a decorated stylus. A very unique item, now preserved for others to see.